One marriage. Two wings. A village of witnesses. 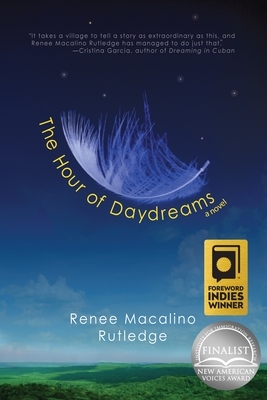 Renee Macalino Rutledge was born in Manila, Philippines and raised in Alameda, California, where she lives with her husband and two daughters. She received her bachelor of arts in English from UC Berkeley and master of fine arts in English and Creative Writing from Mills College. A long-time local journalist, her articles on arts and culture, parenting, and lifestyle have appeared in ColorLines, Filipinas Magazine, Oakland and Alameda Magazine, the San Francisco Bay Guardian, The East Bay Monthly, The Children's Advocate, Parents' Press, and others. Her reporting on minority issues facing Filipinos was nominated for a New American Media Award and New California Media Award by the editors of Filipinas Magazine. Her creative writing has been published in Red Earth Review, Mutha Magazine, and Ford City Anthology, and is forthcoming in the 2017 Women of Color Anthology.